Wishing you all a lovely weekend. We're celebrating our little one's first birthday a few weeks early while everyone is still in town, so no doubt I will be baking and threading fruit skewers and making bunting. Love a party! 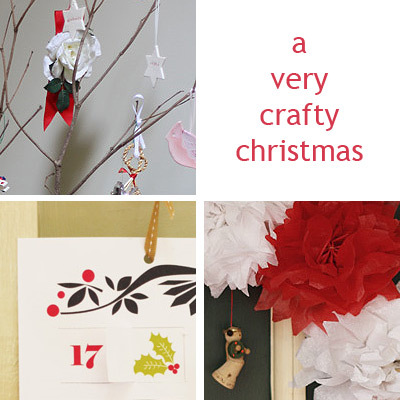 This week we've been in full craft mode at Bondville with a crafty tree, a crafty wreath and a crafty advent calendar (well that one was pretty easy as it was a printable). Let me know if you had a chance to make your own tissue paper pom wreath, I'd love to see pics (I'll post them below). It's time to wrap up the Australian Christmas 2010 series, so if you haven't finished your shopping, now's your chance.